This Central Saint Martins grad harnesses the power of empathy. Filled with unfamiliar places, large groups of people, noise, and busy schedules, the festive season is an overwhelming time of year for anyone, and according to the Alzheimer’s Society, more than half of people affected by dementia find it to be the most isolating time of year. Now, a student-designed helmet that places non-sufferers directly in the shoes of Dementia patients presents a novel to empathise with sufferers of the notoriously alienating disease. 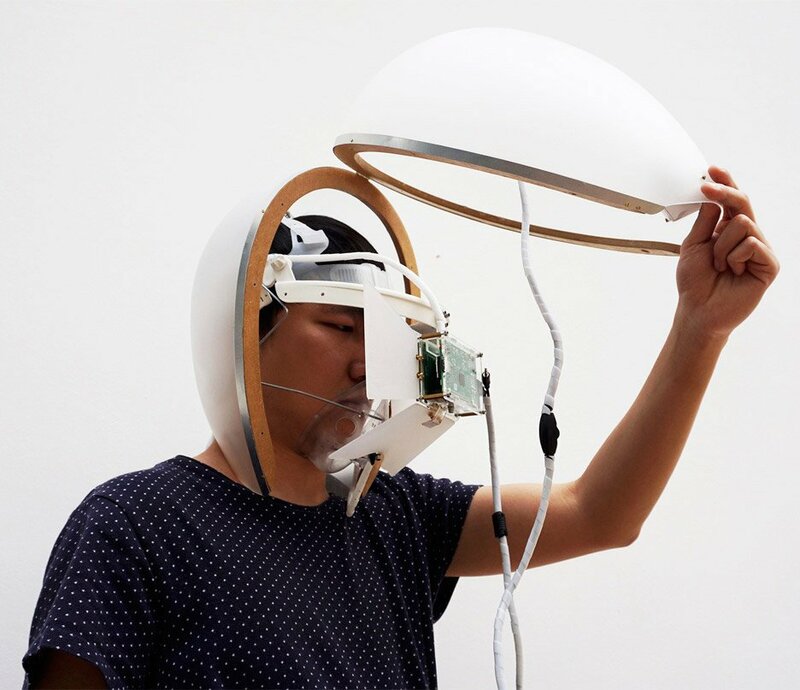 Designed by Central Saint Martins graduate Di Peng, the Dementia Simulator headset lets wearers experience symptoms of the disease for themselves. Egg-shaped and translucent, the device covers the entire head and includes a mouthpiece, earpiece and a screen that covers the eyes. Proposed for caretakers and family members of dementia sufferers, the headset is designed to affect each one of the wearer’s senses. The earpieces distort incoming sound and play critical remarks, similar to the illnesses' characteristic auditory hallucinations. Then, the screen over the eyes blurs the environment, making it hard to recognize familiar faces - another symptom of dementia. Lastly, the microphone mutes random words, making it hard for the person to speak clearly. Taken together, it can be a powerful tool to open people's eyes to how upsetting living with dementia can be. By replicating certain isolating aspects of Dementia, Peng hopes to rouse a sense of empathy within the wearer, lending caretakers of long-suffering patients a greater understanding of the condition that they are grappling with. "In order to weaken the stereotypes and misconceptions towards dementia patients, I believe we could use simulation and pretence as a method to further understand their inner world," Peng told Dezeen. "There is no one solution for a complex problem, but only deeper understanding of the problem will get us closer to the solution." See the Dementia Stimulator in action below.